springing back and forth between warm and cold. Brownies at Mountain Breaths where the hostess Debbie sets a fine table. I would love to go "cupboard shopping at her home." Preheat oven to 350 degrees/ Line the bottom only of a 9X13X2-inch baking dish with parchment paper and spray with Pam. In a mixing bowl, stir together flour, sugar and salt; add butter. Stir together eggs, juice from 1/2 lemon and zest from 1 lemon; stir into batter and pour into prepared pan. Bake for 25 to 30 minutes or until set, use a toothpick to check. Remove from oven and cool on a rack. This makes a very soft brownie. Glaze: If making brownies, only use 1 cup of powdered sugar. When brownies are cool prepare glaze by stirring together powdered sugar and 2 tablespoon lemon juice. You want a stiff glaze. If too stiff add more lemon juice. If making brownies then drizzle over brownies and sprinkle with additional lemon zest. sieve, sprinkle powdered sugar on the bites. I hope you like them. We thought that tasted like lemon truffles. Thanks Debbie for the recipe! I think you're Hubby is actually right about his theory on spring! I love your take on these! Easy to pop one right into your mouth. They looks so good! Ooooh I'm puckering up those sound so good! I'm trying to imagine a lemon brownie...dense and chewy, light and luscious...thanks Joni. Joni, these make me want to bake!!! This has to be the best dessert ever. I'm off Friday, so guess what I'll be doing? Happy Easter and many blessings. Thanks for your visit and your very sweet comments. These have my name all over them! I am game for anything lemon! Thanks for posting the recipe! I will name my next roll Joni! I love lemon treats in the spring! These little bites sound delicious. I want one. Or two....or three. Oh these look goooood! Joni, These look heavenly. If I had my oven I would make these tomorrow! They are now the "to do list" when my new oven is installed in about a week or so. They look beautiful Joni! The brown crusty bits could be for the kids... or the cook:@) A great dessert for Easter! They not only look pretty, I can tell by the ingredients that they have a light and delicate taste. These would be perfect for a spring tea or shower. THis is right up my alley.. love anything lemony. Mmmmm... I love lemon anything. What a neat recipe! Wow! 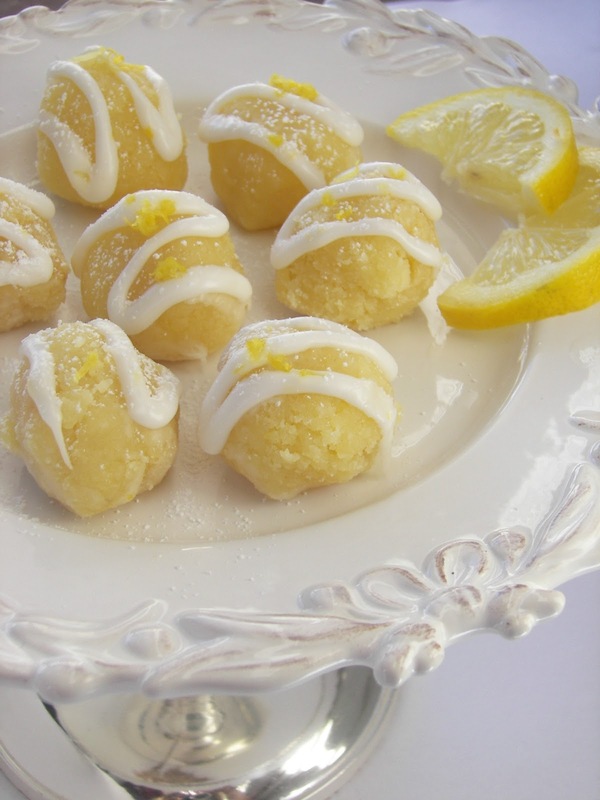 Lemon is my favorite, right behind chocolate, and these look divine! this is my kind of dessert! yum! I love these cute bites Joni! I could pop three or four into my my mouth right now! Glad you are enjoying the lemon brownie idea. These look fantastic! Can't wait to try them. I'm featuring them on my blog today! I love anything lemon, but these are CUTE, too! Thanks for this great idea! Found you at Jacquelne's beautiful blog. These look so good...I love anything Lemon. I'm a new follower. Now I'm on my way to visit your daughter. 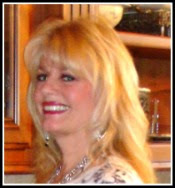 I invite you to visit my blog. Joni, Those are so pretty! I have never heard of lemon brownies. 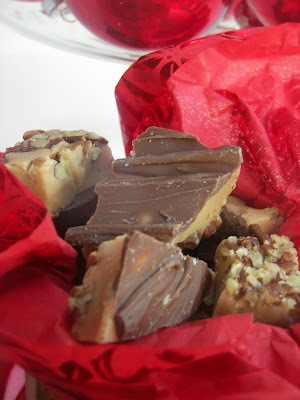 However, I have tasted lemon fudge at Christmastime a couple of years ago. I requested the recipe and will have to make it and post about it sometime! I have good news: I have a new job beginning next week. I'm feeling very blessed! These look incredible! I have seen mini lemon bites at Costco and was thinking of trying to make something similar. This could be the ticket! I was originally going to try Ina Garten's lemon bread recipe made into mini muffins, but I think I'll try these first. Thanks for sharing! Yum, I am such a lemon fan! These are so beautiful too. They look fabulous on the plate! Wish I had one right now. I agree about the name of spring except it hasn't sprung to nice more than 2 days here! So sick of it. 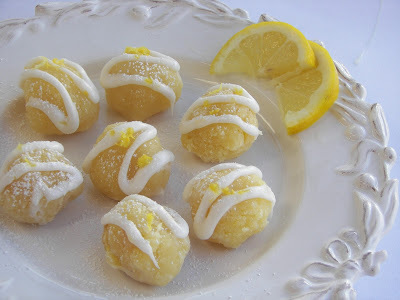 http://glassofsweettea.blogspot.com/ I come to you via my friend Julie at the Harwards..
wow I love the look of those lemon bites.. I will have to try them.. and I will be back soon to visit. and hope you will swing by to visit me when you get a chance. Have a blessed Easter weekend.. I love lemon and am always on the lookout for a good recipe. These look great! These look delicious! Thanks for adding this wonderful recipe to Foodie Friday. You're a winner from the Imaginary Cooking contest at DBG!!! Thanks for sharing this recipe I made them for easter and they were a hit. I even posted about them on my blog today. Joni, Why do you have to be so creative??? I have never thought of doing that. but I guess you are a pro and I am just a kid of a pro cook! :( I loved these and trust me I did and had them in my lunch a few people were jealous and some people asked for the recipe! They always say that you are a pro cook and that you always give me good stuff in my lunch! These look so pretty, and I know they must be yummy too!